Signup early, we expect this event to sell out ~ registration is limited to 20! Cancellations requested by Wednesday, November 7th, 2018 will be refunded in full. Results of Esri’s ArcGIS Online Map Competition 2018 - Congrats to Andrew Wilson from Lin-wood - the National Honoree at the middle school level! Results of Esri’s ArcGIS Online Map Competition 2018 are in. Andrew Wilson from Lin-wood is the National Honoree at the middle school level! Congratulations to Andrew and Carol Smith, the librarian at Lin-wood who supported his project. Andrew, his parent, and Carol will be headed to California this summer to attend Esri’s EdUC (Educational User Conference) and UC (International User Conference) where Andrew will present to the larger GIS community. A special thanks to NHSTE for serving as the “fiscal agent” for this project and to Stan for serving as the assistant coordinator on the state level. 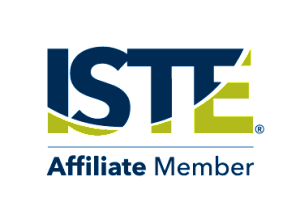 This post is targeted to anyone from New Hampshire (NHSTE member or not) who is going to ISTE18 in Chicago at the end of June. Hard to believe that the school year is nearly over and in about a month some of us head to Chicago for ISTE 2018!!! NHSTE is once again planning the New Hampshire Networking Dinner during ISTE. We generally meet after the opening keynote on Sunday evening, June 24th, probably around 8:00pm ish this year at a restaurant near the NHSTE hotel. This event has ranged from a small group of 12 to 15 to a group of over 40 of us! We have gone to some gourmet restaurants and some more casual locations. I have already located two options close the NHSTE hotel, the Fairfield Inn & Suites Chicago Downtown, 216 E Ontario Street Chicago, IL 60611. Once I have an idea as to how many are interested, I will finalize the location. Anyone from New Hampshire (and their guests) is invited to attend. Please complete this quick 5 question survey to let us know your plans. The options on the survey include "probably' and "maybe", so you do not need to be sure of your plans at this time. Those providing me with their email address on the survey will be added to a list of individuals to receive detailed ISTE18 information from NHSTE moving forward. Let your voice be heard ~ help choose the keynote concurrent sessions at CMTC18! #nhcmtc Click here for the link to the survey. The survey will remain open through the whole month of June 2018. Courses are $130 for 7 weeks and earn 35 Professional Development hours. Early Bird Special ! Register early and save $10.00. Early Bird Special offer ends on June 26, 2018. Register for Summer 2018 Courses Here! Learn More About OPEN NH Course Sessions Here! CMTC18 Online Call for Presenters is Extended for 1 day until tomorrow, Tuesday, 5/29! The deadline for submitting proposals is extended to Tuesday, May 29th! The 2018 Christa McAuliffe Transforming, Teaching, & Technology Conference (CMTC) Steering Committee is excited to announce that the Call for Presenters online submission system is now open though the end of May! We need your proposals, this is what makes CMTC GREAT!!! The link for submitting proposals is www.nhcmtc.org. Looking for some concrete ways to properly use technology in your math classes? Join Craig Sheil and Stefan Fritz in their workshop: "Best Practices: #MathWithTech" where you will experience technology-based lessons and activities that propel your curriculum forward and engage students on a deeper level. In this day-long workshop, attendees will discover activities from the student perspective and then presenters will unveil the "magic" that happens in preparation for an engaging technology-rich lesson. Bring your laptop/chromebook and get ready to math with tech! Why: Continue to share with others how math and tech can and should be used together. Fourteen New Hampshire schools began a Student Technology Leadership program called GenYES at the beginning of this school year. In these schools, 176 students were highly prepared using the GenYES curriculum to assist their 492 teachers as well as administrators and IT staff integrate technology into their schools. These Student Technology Leaders (STLs) accomplished this by completing 459 (as of 4/20/18) Technology Assistance Projects (TAPs) in collaboration with teachers and IT staff. TAP examples from each school can be found in the attached PDF. The 14 NH schools included 2 high schools, 1 middle school, 4 K-8 schools, and 7 elementary schools. Gen YES is a great way to get your students up to speed with ICT Literacy, personalize their learning, and help your teachers increase their tech skills. As you plan for your 2018-2019 school year, consider hosting a Gen YES Chapter in your school. New Hampshire has a great initial start up rate of $2975 per school. Annual membership is only $500 per school. The Gen YES program and philosophy align well with our New Hampshrie initiatives of personalization, competency based education, and the Future Ready New Hampshire initiative. The Gen YES New Hampshire Consortium hopes all NH schools will consider implementing Gen YES in your schools for 2018-19. The Gen YES model is flexible enough to fit into any school program. The fees support an abundance of training materials, access to the Gen YES online student TAP reporting/completing system, statistics on students and TAPS, as well as an up to date student curriculum. The nonprofit Generation YES organization is happy to take your phone calls (888-941-4369) or email inquiries (support@genyes.org). The Gen YES main office is near Seattle, WA, in Pacific Time, so please call after noon. The Gen YES New Hampshire page on NHEON.org now features some sample Technology Assistance Projects (TAPS) completed by New Hampshire students. You can learn more about GenYES New Hampshire at nheon.org/genyes and genyes.org. Things are hopping over here at Antioch University New England this spring. I wanted to let you know that in addition to the STEAM concentration in our Experienced Educators Program, we're also launching a stand-alone pre or post-masters Certificate in Integrated STEAM Education. Both programs are low- to no-residency and are rooted in experiential learning, classroom facilitation, authentic assessment, PBL and SEL. Can you help us spread the word? We're still accepting applications to begin this summer.